Indra Krishnamurthy Nooyi will step down as the CEO of PepsiCo after 12 years in the position, the company announced on Monday. Taking over the reins of the global giant in 2006, Ms. Nooyi steered the company though the 2008 financial crisis and herself remained in the spotlight as one of the most powerful women on the planet. “She has delivered strong and consistent financial performance, managing with an eye toward not only the short-run, but the long-run as well. As CEO, she grew revenue more than 80%, outperforming our peers and adding a new billion-dollar brand almost every other year. And shareholders have benefited: $1,000 invested in PepsiCo in 2006 is worth more than two-and-a-half times that amount today,” said Ian Cook, presiding director of the PepsiCo’s Board of Directors. PepsiCo grew slower than its main rival Coco Cola in the meantime. The company’s stock rose after the announcement. Ms. Nooyi has been overseeing 260,000 global employees of the company that has under its umbrella, Frito-Lay chips, Tropicana juices, Gatorade, Quaker foods, and several soft drink brands including Pepsi. Ms. Nooyi tried to reposition the company’s image at a time consumers are increasingly wary of junk food. Under her, PepsiCo began focussing on products that include fruits, vegetables, whole grains, nuts and gave an emphasis on less sugar and fat. She has said this transformation would be a long-drawn one. Also Read: You can now deposit a minimum of Rs 250 yearly in Sukanya Samriddhi Yojana. “Today is a day of mixed emotions for me. This company has been my life for nearly a quarter century and part of my heart will always remain here. But I am proud of all we’ve done to position PepsiCo for success, confident that Ramon and his senior leadership team will continue prudently balancing short-term and long-term priorities, and excited for all the great things that are in store for this company. 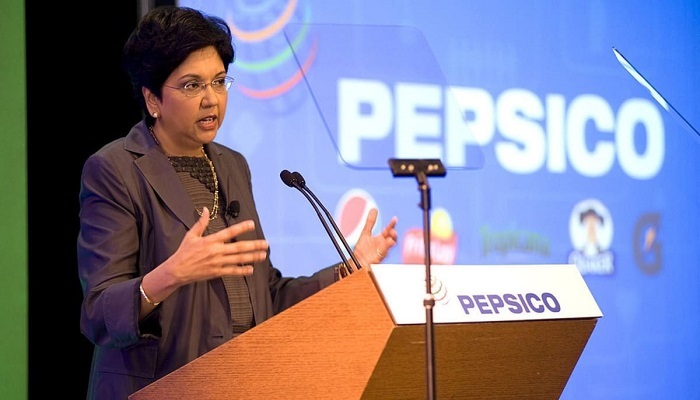 PepsiCo’s best days are still ahead of it,” added Nooyi. The 54-year-old Ramon Laguarta will succeed Ms. Nooyi as CEO. Ms. Nooyi will step down as CEO on October 3, but will remain Chairman until early 2019 to ensure a smooth and seamless transition, the company said.